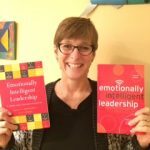 In 2008, Marcy Levy Shankman co-authored a ground-breaking book on emotionally intelligent leadership. It is a guide aimed at college students to help them further develop their emotional intelligence and leadership capabilities. There is now a second edition of the book that broadens the scope to 17-28 year-olds and embraces different schools of thought that have emerged in the past few years as well as reflecting the outcomes of their own research. TetraMap had a chance to interview Marcy on her way to a presentation to a group of college students and their mentors. Her message that evening was to remind them that they have embarked on a very important journey of developing themselves as leaders and emotional intelligence is an important tool to have in their toolbox. 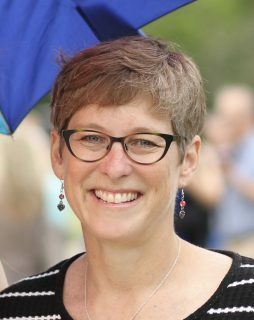 Here’s what else she had to say about the developments in the field of Emotional Intelligence and what makes her research-approach unique. How has the model evolved since 2008? The model has been refined rather than overhauled. What is different is our articulation and what the model represents. We’re doing research into what everyone else is learning about and gaining a deeper appreciation as to how we bring it about in our field. We are building on other’s work as it’s a model/way of thinking that can integrate other people’s thoughts on leadership. There is an increasing body of literature around Emotional Intelligence that is supporting the approach we’re taking. By taking this integrationist approach, we are saying that when you add all of these different pieces together you get this unique fabric. In Emotional Intelligence, there are many different schools of thought. Our approach appreciates that there is a lot of good that comes from bringing these strands together – a better-braided web of what’s out there. Our other uniqueness is that we’re focused on young adults; there is very little designed for young adults. When we started we were looking at the traditional 18-22-year-old young adult. Much of our work is now geared at 17-28 year-olds. It’s a higher learning space and we’ve got a sense of growth and development that we emphasise in our work. A colleague who runs the programme uses the TetraMap preference results to put together work teams. Where does TetraMap fit in? I run a TetraMap programme once a year at the Cleveland Leadership Center for emerging community leaders. These are individuals that are established enough that they know they want to get involved in the community in a volunteer capacity. I do TetraMap for these participants at the beginning of their year so they create a common language and starting point of self-awareness. A colleague who runs the programme uses the TetraMap preference results to put together work teams. I also use TetraMap with another programme at the CLC called Cleveland Bridge Builders. We utilised the assessment at the outset of the programme so they can better understand each other and themselves as a whole as well as their project teams to which they are assigned. Tell us about your current work with the Cleveland Leadership Centre. The Cleveland Leadership Centre is a non-government organisation that is dedicated to promoting increased civic engagement with leadership development. I’m responsible for running a 10-month programme on leadership development for senior-level executive leaders from non-profit/non-governmental, education, business, industry and governmental organisations. I facilitate a monthly gathering on civic understanding and collaborative leadership. My other role in the organisation is vice-president of strategy. I help the organisation fulfil its mission and decide how we are making a difference in the community and allocating our resources to accomplish that mission. You also work independently in the realm of Emotional Intelligence. I started a consultancy company 14 years ago which became my full focus. Since being at the Centre I focus on it less now. My primary area was leadership and organisational development in the non-profit/non-governmental sector. It stems from my background working with college students to support their leadership development. How has your research in Emotional Intelligence developed? My colleagues and I have been studying concepts of emotionally intelligent leadership at a college level recently. For example, what does involvement have to do with a student’s self-awareness? What about gender and leadership? We are also working on validating our model, as it was originally conceptual. A fundamental assumption of Emotionally Intelligent Leadership (EIL) is that we all can practise leadership, so everyone has the opportunity to practise EIL. How are you hoping individuals apply your model moving forward? There are multiple layers in which individuals can apply EIL. The most immediate way in which EIL can be applied is on the day-to-day. Some may call this everyday leadership. You don’t need a role or a title to do this. This means that EIL can be demonstrated in our informal relationships (friendships, family, colleagues, etc.). Then, of course, there’s the formal way in which EIL can be applied – in formal leadership roles, in teams, in organisations, etc. A fundamental assumption of EIL is that we all can practise leadership, so everyone has the opportunity to practise EIL. Follow Marcy Levy Shankman on Twitter: @ShankmanEIL. 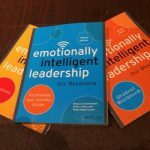 Learn more about the Emotionally Intelligent Leadership series or get your hands on a copy today!